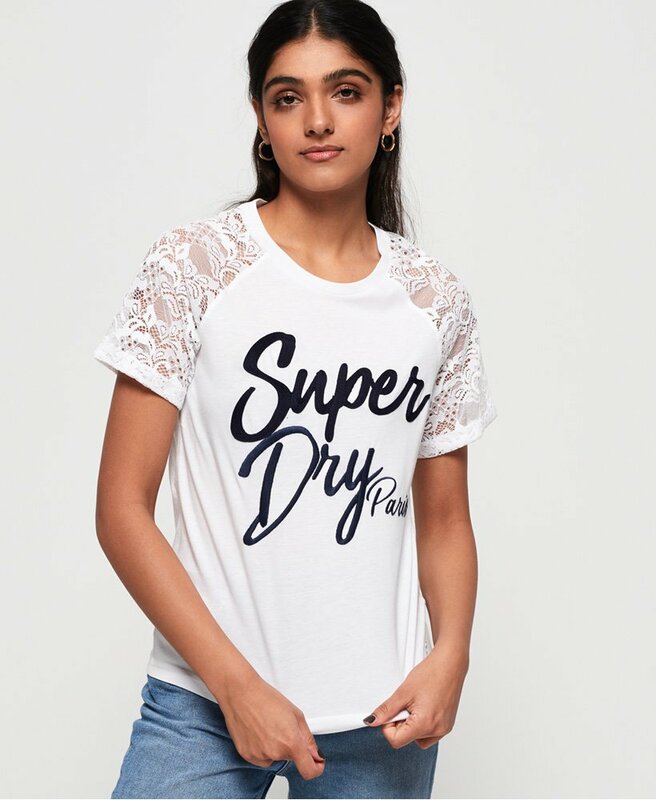 Superdry women's Madeline graphic t-shirt. Update your everyday wardrobe this season with the Madeline graphic t-shirt. Featuring a crew neck, lace sleeves and applique logo graphic on the chest. This soft touch t-shirt is completed with a small metal badge above the hem.